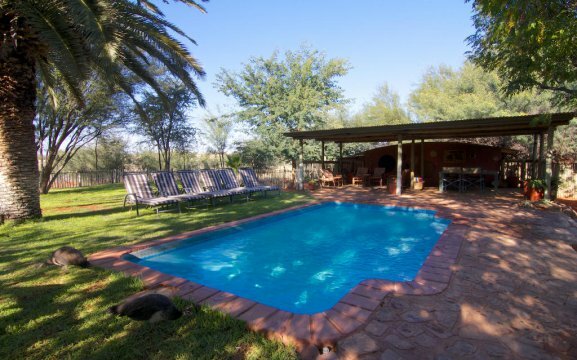 Bagatelle Kalahari Game Ranch is situated amongst red dunes and green areas in the Southern Kalahari. 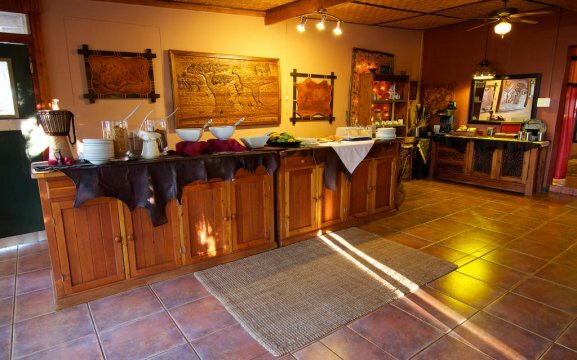 It features a library, lounge, swimming pool, restaurant, bar and comfortable accommodation. 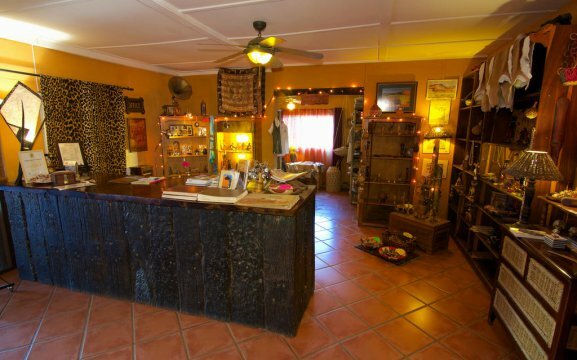 We have a cellar with a wide range of South African wines and wide range of spirits and beers. Breakfast and lunch are served in our restaurant, while we serve dinner under the stars. 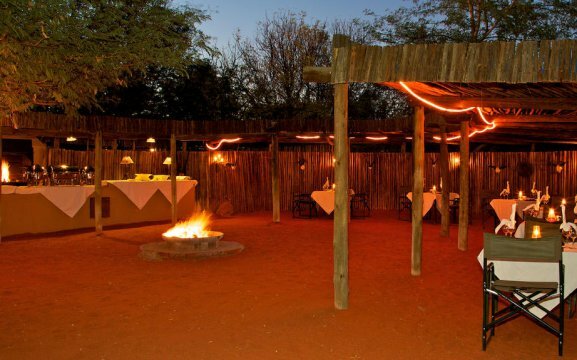 We have traditional sundowners on our red Kalahari sand dunes with drinks and snacks. 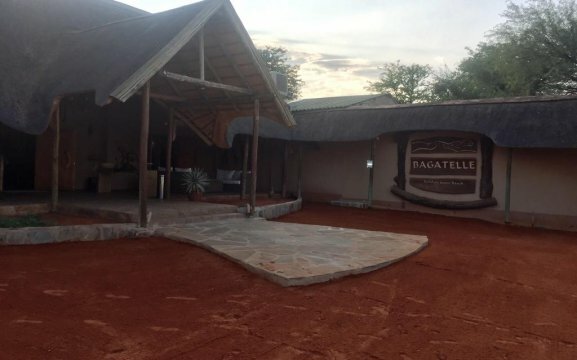 Bagatelle is an ideal stop-over for tourists visiting the attractions of southern Namibia such as Lüderitz and the Fish River Canyon. Our lodge has cheetahs, in association with the Cheetah Conservation Fund, and are kept in enclosure right next to the recreation area. 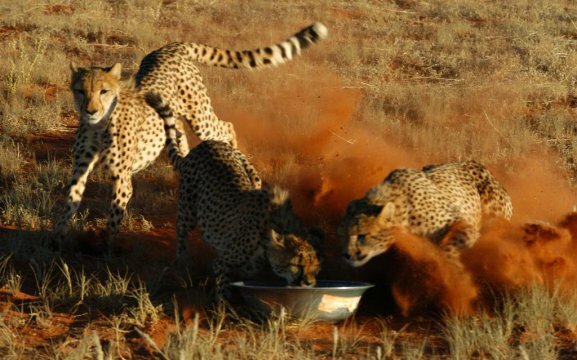 These cheetahs can never be released into the wild, and will stay in captivity for the rest of their lives. 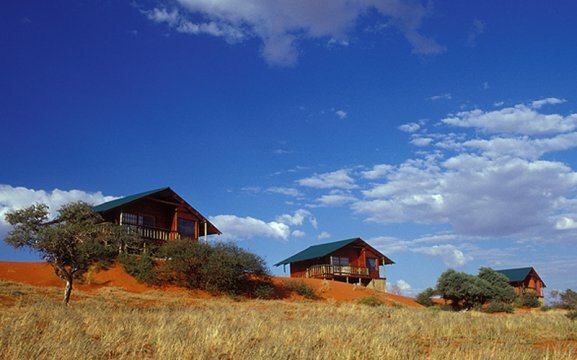 Bagatelle Kalahari Game Ranch offer two styles of bungalows – both with the same standard of luxury and finish quality; on the Kalahari dunes we have four chalets, all constructed of wood and on stilts with spectacular views to the Southwest and six other bungalows in the street or valley between the dunes. 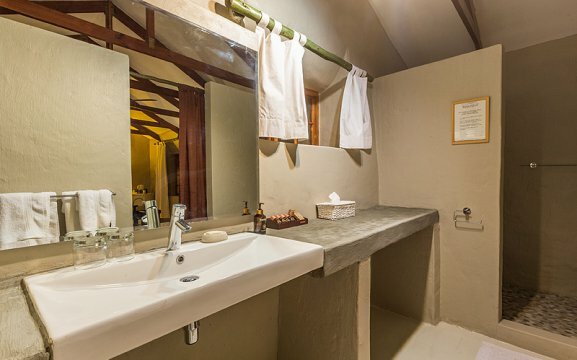 All units are decorated with wooden furnishings; they feature air-conditioning, en-suite bathrooms, and panoramic views over the dunes, tea/coffee facilities, in-room safe and minibar. Two of our Dune Exclusive Chalets had a private splash pools. 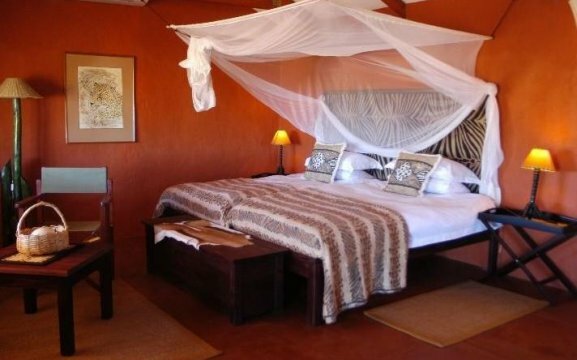 Activities at Bagatelle include a Cheetah Feeding, morning scenic drive and afternoon sundowner drive, morning walk with the San tribe, horseback safari, night game drive and bird watching. 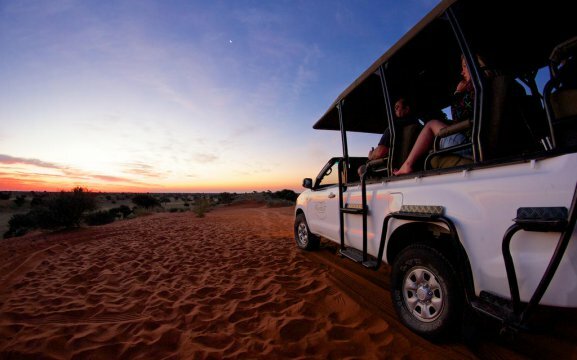 Guests can see an amazing diversity of animal and bird life on our morning scenic drive or cool down with an ice cold beer on our sundowner dune drive. 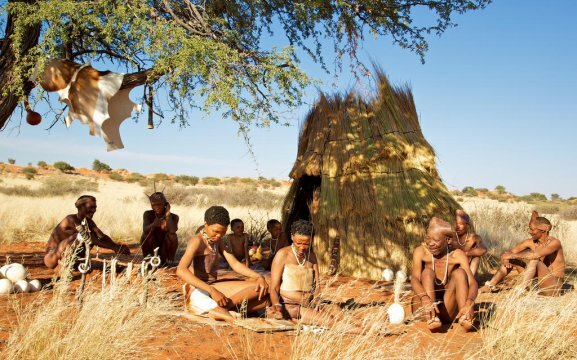 We have the hiking trails with the San tribe, where you will learn more about their culture and their way of life. 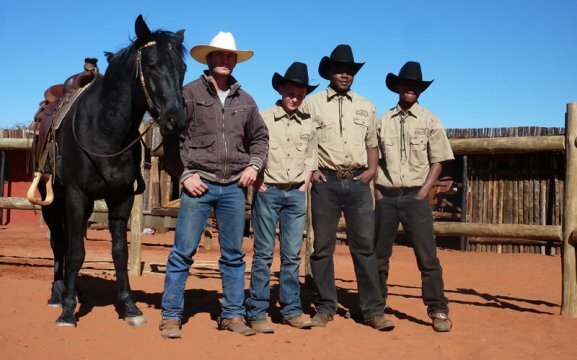 We have stargazing opportunities with the beautiful bright Namibian skies full of stars and constellations. On our combination drive, guests will see a variety of game such as giraffe, kudu, zebra, oryx, blue wildebeest and eland.